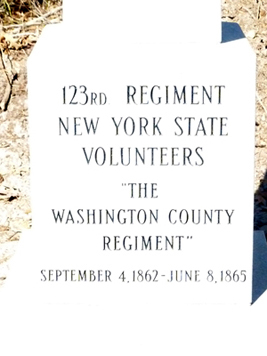 Welcome to the home page of the 123rd New York Volunteer Infantry of the American Civil War! This site is a project of the 28th Georgia / 123rd New York Volunteer Infantry reenacting unit, a non-profit organization, that allows us to share information about the 123rd New York. 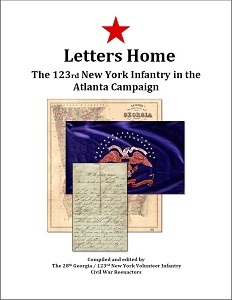 Much of the information on this site was submitted to us from decendants and historians of the 123rd New York and we thank all of you for your contributions and support. If you would like to submit information about the regiment, please contact our webmaster. 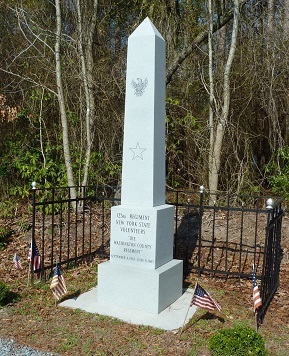 A monument to the 123rd New York Infantry has now been placed on the Resaca Battlefield in Resaca, Georgia. The 123rd New York fought there on May 14-15, 1864. This is the very first monument to the regiment anywhere in the entire Atlanta Campaign in Georgia. Click the following link to find out more about the monument and the monument dedication ceremony held on May 19, 2018. Here is the new monument to the 123rd New York that was erected by Larry Laboda in 2011 at the edge of his private property next to the Bentonville Battleground State Historic Site. 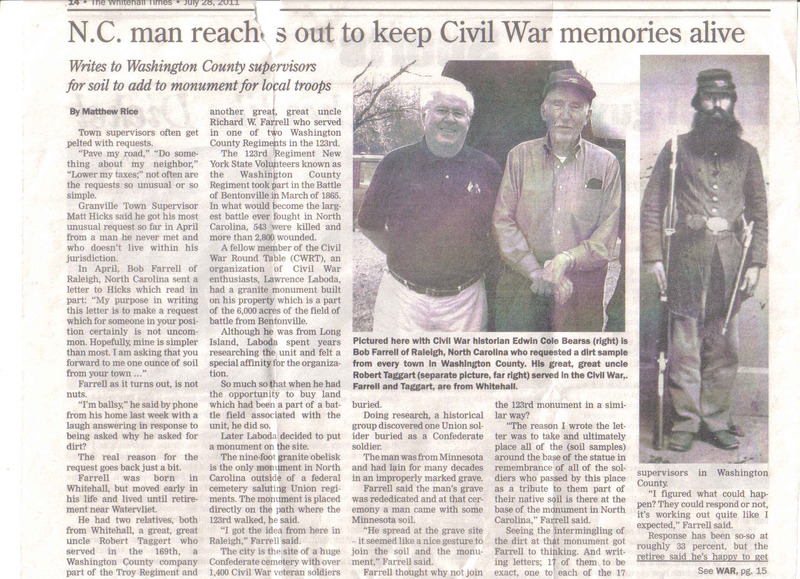 For more about the monument, click here. 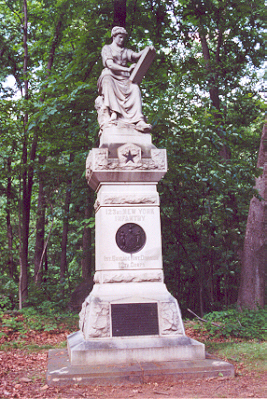 For the story about the soil from Washington County, New York, that was placed at the base of the monument, click here. Photos by Bob Farrell. Sitting on top of the monument is the Greek goddess Clio, the Muse of History, writing down the names of the regiment and their deeds onto her tablet. Staff photo. 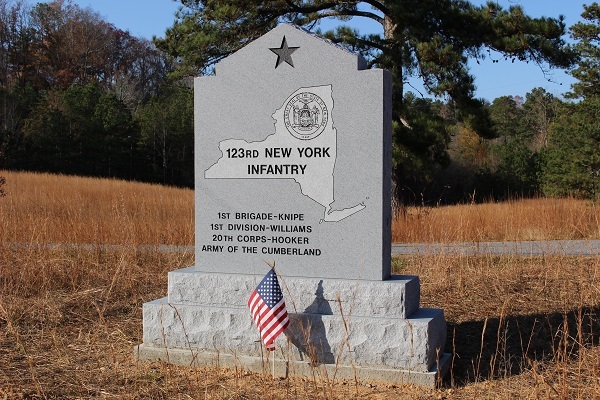 © 2019 The 28th Georgia / 123rd New York Volunteer Infantry. All rights reserved.